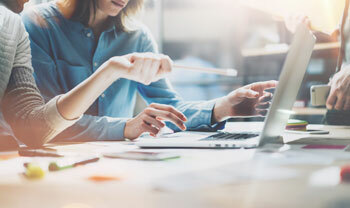 For many years, the only websites that had to be concerned with having an SSL certificate were eCommerce sites or those asking for personal information like your financial information or your social security number. But all of that has changed. Now we have a number of factors that are prompting us to secure ALL websites, not just high-risk sites. And ranking higher with Google is just one of the benefits. HTTPS protects your website and any communication between the website and your users’ browsers. So what does that mean? If you have a WordPress site that is not secured with HTTPS, for instance, your username can be intercepted by cyber criminals when you are logging in. That’s half the battle for them. Now they can use your login name along with a bot that tries to guess your password to gain access to your website. Bots don’t eat, sleep or need to take breaks. So if you don’t have additional security on your website that limits failed login attempts, you could be in trouble. Your users could start seeing strange ads, your website might starting linking to all kinds of low quality sites like “imitation Gucci bags” and “cheap Marlborough cigarettes”, or worse yet, your viewers might get their computers infected just by visiting your website. Scary stuff. And definitely not something you want to be responsible for! But if you have move your site over to HTTPS, all communication between your browser and that website will be secure. No more eavesdropping! 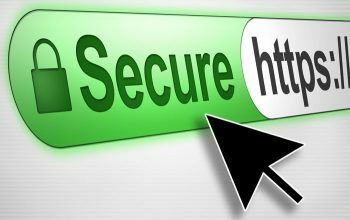 Google announced a few years ago that they were moving toward having SSL as the standard for all websites. And late in 2017, the Chrome browser started flagging websites that were unencrypted (unsecured). If you have a web form that takes text inputs or have a search bar where text is inserted, or if you have a website that starts with “HTTP” instead of HTTPS, the Google Chrome browser flags your site as being “Not Secure”. Even if you’re not taking payments online, seeing that “Not Secure” message in the address bar isn’t the best user experience to have. It’s hard enough to get people’s attention, now you have something negative that you have to overcome. By moving to HTTPS you can avoid potential negative impressions and concentrate on your sales/marketing message. The SSL Certificate will help you build trust with your customers and protect the credibility of your brand. And it also gives you a small boost with Google! That’s something we all want to take advantage of. New WordPress Editor Coming Soon!